Barcelona means many things to different people. Yet, few would be ignorant of the city’s close ties with its football club and lucky are those who can watch a major European league match at Camp Nou, the home of FC Barcelona. 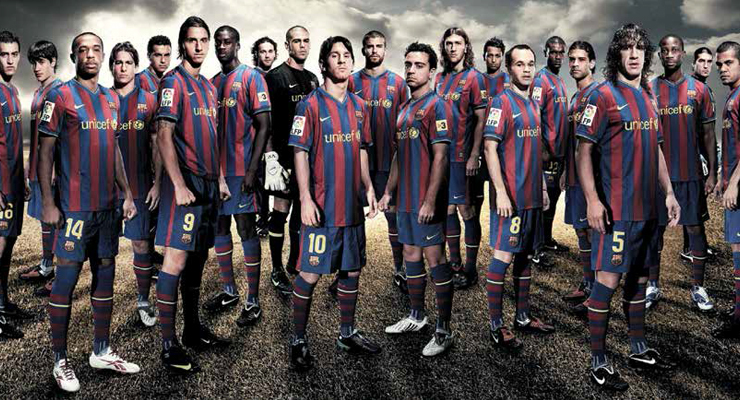 If football were a religion, Barcelona would definitely be one of the most important pilgrimages, if not the Vatican. Thanks to its Futball Club Barcelona (FCB), which has won as many global and European championship titles as any other major league club. The club was founded in 1899 just at the time when Catalunya, the Spanish province, of which Barcelona is the capital, was getting to learn football and a few other English sports. The club grew stronger over the decades, though its history was as turbulent as Spanish. The European history with two world wars and the Spanish civil war posed big challenges to the survival of not only FCB, but indeed the entire sport of football in the country. It was only in the late 1990s, when the club celebrated the centenary, it won its first Primera Division title that marked the beginning of the Golden Era for Barcelona and laid the ground for its current status. Despite being the largest football stadium in Europe with a capacity of nearly 100,000, Camp Nou is very well located, barely a kilometre from Avenida Diagonal, a major shopping destination of the recent times. Though the match was scheduled to begin only at 20:45, our hosts ensured that we reached the Camp Nou stadium really early. Even though the match was the biggest sporting event to be held in Europe after the November 13 attacks in Paris and there was clearly reinforced security around the stadium, there was order and discipline, quite unlike what you may find in an English stadium. Yet, the discipline could not hide the excitement that air had. As we were the lucky guests of Barcelona Tourism, we went straight to the VIP Lounge, overlooking the field where the final preparations for the match were taking place. The two teams were already down there, warming up. The lounge was decorated with several interesting memorabilia about Barcelona’s various exploits over the years and in addition, the numerous television screens were running shots of the key moments in the century-long history of Barcelona. The lounge was fairly crowded, with members of the numerous companies that have their corporate boxes as well as their guests, waiting with great expectations for Barcelona to begin a goal feast. The expectations were even higher as only the preceding weekend in the great El Clasico, Barcelona had handed their arch rivals, Real Madrid, an unprecedented 4-0 thrashing. As the guests discussed the El Clasico’s unclassical result and what lay in store for the evening, they continuously helped themselves to a wide variety of snacks and beverages, continuously served by a large team of well-trained hostesses that always seemed to hover in the background, with their trays full of Spanish, Lebanese and European knickknacks as well as glasses of champagnes, wines, whiskeys, juices or soft drinks. All the time, everyone kept an eye on the screens as well as the field below as the teams ended their warm up sessions and began to walk off the field to get ready for the encounter, which was the return leg of a group match of the European Champions Trophy.